When the African goes on Safari in Europe! What you get is a lesson in history, fashion, culture and the strange lifestyle of the Europeans. Did you know that the Catholic church used to determine how many children every couple had in Volendam and in many other places in Europe? 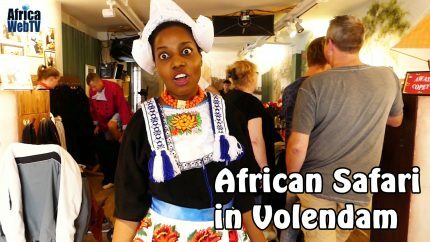 Join Africa Web TV as we go on a reversed Safari through the ancient town of Volendam in The Netherlands. Welcome on board our series, The Afropean Safari!